Remember the last time someone told you what a great job you were doing -- and you felt all warm and fuzzy inside, like there's nothing in the world you couldn't do? That’s why it’s so important to recognize employees’ efforts and to appreciate them for a job well done. There’s something deeply fundamental about the way human beings thrive on recognition. This applies very much to the work environment -- it is apparent that employees are immensely motivated by recognition to do better in their pursuits. In fact, Bersin by Deloitte’s study The State of Employee Recognition found that “organisations with the most sophisticated recognition practices are 12 times more likely to have strong business outcomes”. This speaks volumes about the potential of employee recognition to tangibly and exponentially improve employee engagement and boost business performance. 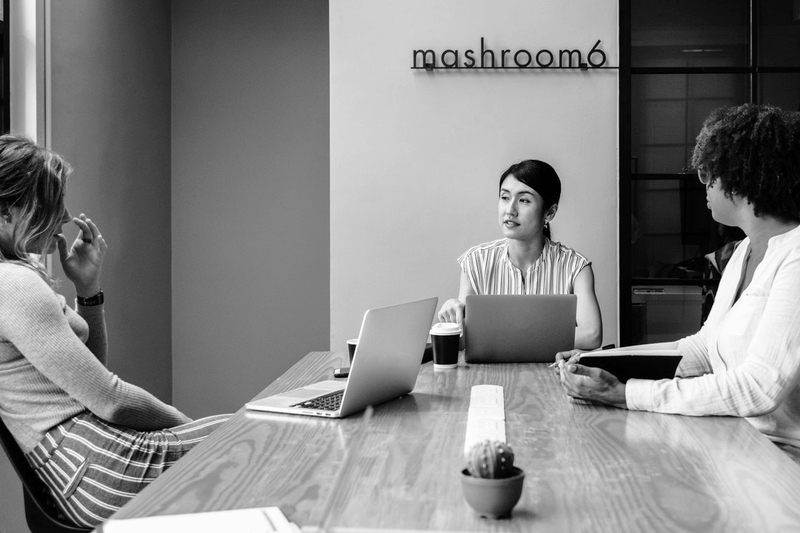 Now that we know that employee recognition is good and definitely worth striving towards, we’re left with the other half of the equation -- how to practice employee recognition in ways that are not only impactful, but will truly benefit employees. Shoutouts, kudos, a “well done” after a long day at work -- you said it! One of the biggest myths of employee recognition is that it should come from a top-down approach; ie. from top management to employees. Well, who’s to say that it can’t come from fellow colleagues, who are often more aware than we think of positive acts done by their peers? In fact, Globoforce and SHRM’s 2016 survey on employee recognition discovered that 90% of workers felt that a values-based, peer-to-peer recognition system increased their work satisfaction. Instead of manager-only recognition, try peer-to-peer recognition systems to effectively engage your employees! Begin by creating opportunities for your staff to show appreciation for one another in day-to-day activities, such as starting off weekly meetings with shout-outs or having monthly nomination opportunities for the Employee of the Month. For example, Bonusly offers a point system tool that integrates with Slack, allowing you to recognise and reward your co-workers easily. Want to find the employee recognition software of your choice? Try Capterra, a free and interactive platform that allows you to compare across the various software options you have! Here at Remesh, we have our very own active #kudos slack channel, reserved exclusively to recognise co-workers for great things they’ve done. We also love the HeyTaco! tool we’ve implemented not long ago; we just can’t stop adding taco emojis to our messages to show praise! Check it out! What’s the easiest and most effective way to know how your staff want to be appreciated? The answer is simple: ask them. Survey your staff regularly to gather feedback on what they would like from you, as far as it comes to showing your appreciation for them. Be open to hearing what your staff have to say, and have confidence that learning more about your co-workers enables you to reward them with something that they value. Employee engagement platforms such as Remesh offer the ability to engage employees in real-time for deeper insights into what your employees actually want and think. Give these tools a try, and be ready to get into the hearts of your staff! Going one step further, try taking a unique approach to employee recognition, down to each individual employee. Recognizing staff by rewarding them based on their individual interests makes the rewards much more memorable. Whether it be a “thank you” note, a yoga mat or even some craft beer, individualized recognition -- opposed to standard, blanket rewards -- is a huge employee morale booster because it shows that you’ve gone out of your way to make recognition personable (and fun!). Don't just watch them grow, help them grow! We all want our employees to develop professionally, but how often do we actively help them to do so? One of the most sincere ways you can show employees that you recognize and appreciate them, is by being invested in their career development and professional interests. Start by giving your staff opportunities to choose the projects they want to work on, the skills they want to develop, and the type of mentoring they would like to receive. Provide a variety of educational opportunities -- technical research courses, leadership coaching, networking strategy; there’s plenty of these to go around! -- to choose from, and encourage staff to take full advantage of them. These not only fulfill your employees’ professional pursuits, but also equip them with up-to-date strategies and knowledge that they need to perform better! SalesForce is great inspiration as a company that both hears and delivers what its employees want. After learning that Salesforce employees wanted customized educational opportunities adapted to their pace of learning, Dan Darcy (SVP Productivity) and his team leveraged the company’s customer learning platform to enable employees and managers to design one-on-one learning journeys. Kudos to SalesForce for a great employee success program! In the hustle and bustle of everyday work, taking time off to recognize employees may just be one of those tasks we push to the end of our to-do lists. Yet, time and time again, regular recognition of small achievements has been proven to boost positivity within teams, foster a sense of belonging and appreciation amongst employees and --wait for it-- rapidly increase productivity. In summary, developing a robust employee recognition programme is one of the most powerful assets you could ever have in your company. Feel like employee recognition is the way to go? Drop us a ping here at Remesh, we’d love to tell you more!